For the first time in the National Academy of Sciences of Azerbaijan, a new generation vaccine, which was successfully synthesized on plants, was obtained using molecular biotechnology. Corresponding Member of the Scientific Academy of Sciences of Azerbaijan, Professor of the Turkish University Akdeniz Tarlan Mammadov made a scientific report on the topic "New molecular biotechnology that provides synthesis of highly stable and functionally active vaccines, therapeutic proteins and industrial enzymes in plant leaves." The scientist said that at present the production of recombinant proteins is carried out by means of several express systems: bacteria, yeast fungus, insects, and mammals. The Professor noted that in recent years plant expression systems have begun to be used in production more, since they are viable from an economic point of view and safety. “In some cases, when the system does not match the production of this type of protein, a new molecular biotechnology needs to be used to solve the problem. For the first time using this technology, a successful synthesis with plants against malaria was carried out. A new generation vaccine with high rates was obtained. 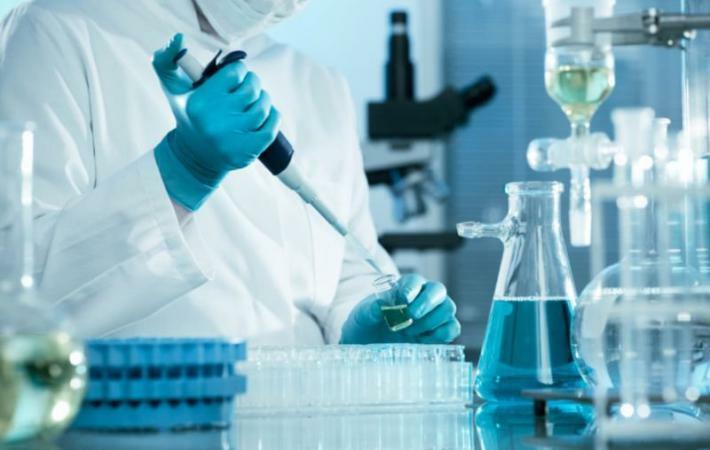 This technology also creates extensive opportunities for the synthesis of different recombinant and therapeutic proteins, vaccines, natural food additives, as well as industrial enzymes,” Mammadov explained. He went on to say that production of expensive drugs for humans and animals in this way in the country will reduce dependence on imports in this area. Molecular biotechnology is a field of scientific research, with the advent of which there was a real revolution in the relationship between a human being and wildlife. It is based on the transfer of heredity units (genes) from one organism to another, which is carried out by genetic engineering methods (recombinant DNA technology). In most cases, the purpose of such a transfer is to create a new product or to obtain an already known product on an industrial scale. Molecular biotechnology as a new field of research was formed in the late 1970s at the junction of recombinant DNA technology and traditional industrial microbiology. Malaria is a mosquito-borne infectious disease affecting humans and other animals caused by parasitic protozoans (a group of single-celled microorganisms) belonging to the Plasmodium type. Malaria causes symptoms that typically include fever, tiredness, vomiting, and headaches. In severe cases it can cause yellow skin, seizures, coma, or death. Symptoms usually begin ten to fifteen days after being bitten. Malaria remains one of the global health problems. About 100 countries, half of which are located in sub-Saharan Africa, are endemic for this infection. Annually, between 300 and 500 million people fall sick with malaria and 1.5 to 2.7 million die, 90 percent of which are young children. There’s no vaccine available to prevent malaria. Talk to your doctor if you’re traveling to an area where malaria is common or if you live in such an area. You may be prescribed medications to prevent the disease. These medications are the same as those used to treat the disease and should be taken before, during, and after your trip.